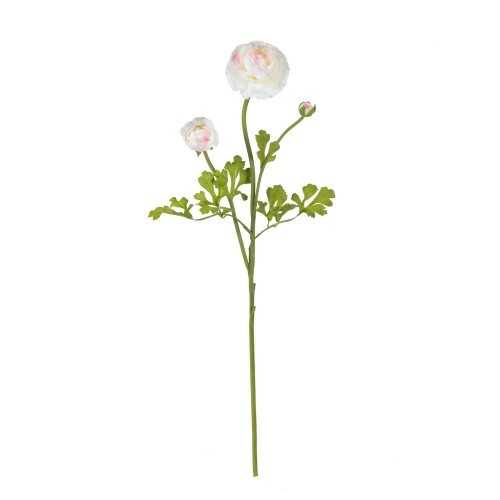 The incredible beauty of the Ranunculus Flower cannot be overstated. 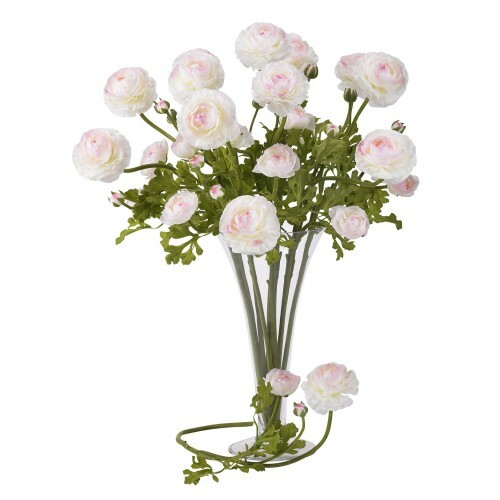 With its winding, verdant stems and soft, full blooms that positively swirl with color; these enchanting flowers will brighten any area they adorn. 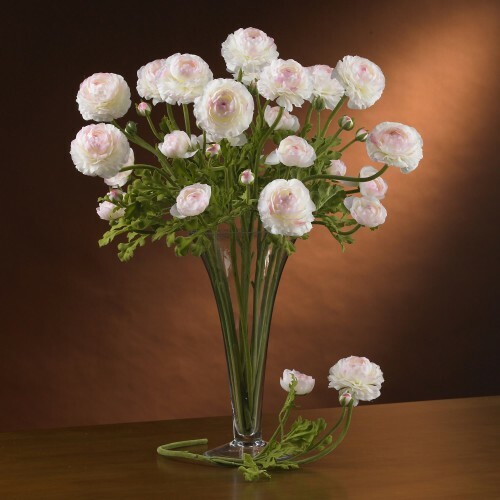 Bold and beautiful, each individual stem is something to behold, not to mention the effect of several together. Sold in a set of twelve stems. 40" x 10" x 4"